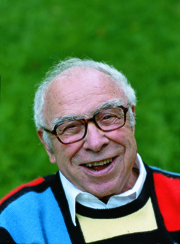 Art Buchwald (1925–2007) was the writer of some thirty-two books, including two children’s books and two novels. He was the recipient of the Pulitzer Prize for Commentary in 1982, and in 1986 was elected to the American Academy of Arts and Letters. Buchwald, by his own report, was a workaholic and had no hobbies.